It's a baby shower for Lindsey of Dolly and Oatmeal and I'm bringing the donuts! 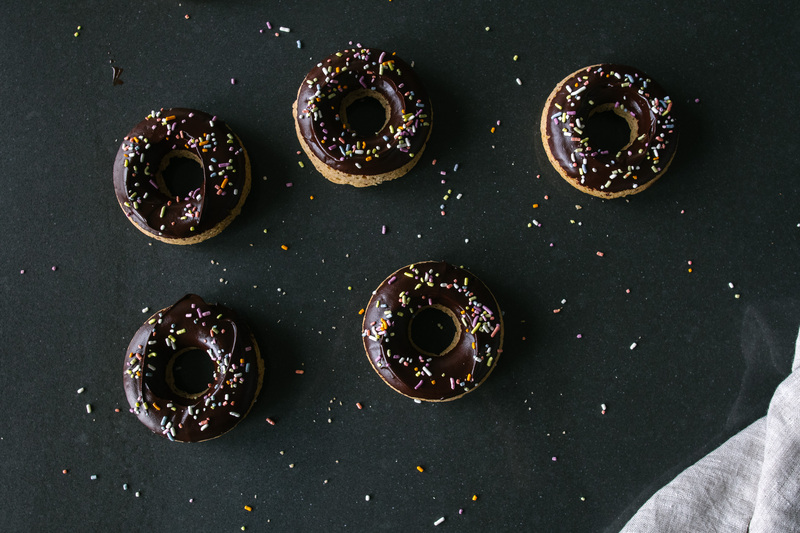 They're gluten-free AND vegan and I'm not even mad about it! My headspace is calm and neutral with pops of color and thoughtful thoughts; it’s kind of how Lindsey’s blog, Dolly and Oatmeal is. If you haven’t been over to Lindsey’s space, do it! She posts dairy, gluten-free recipes that look delicious, even to my meat-eating, gluten-hoarding self. Preheat the oven to 350°F. 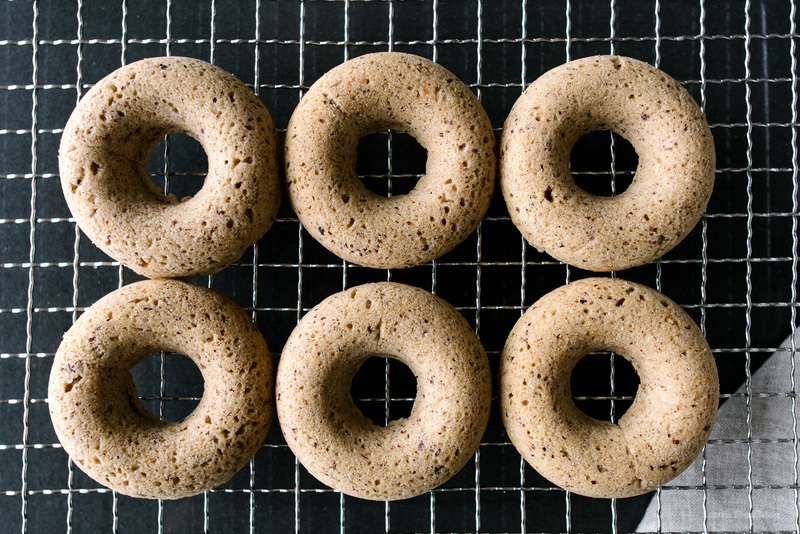 Lightly grease a donut pan and set aside. 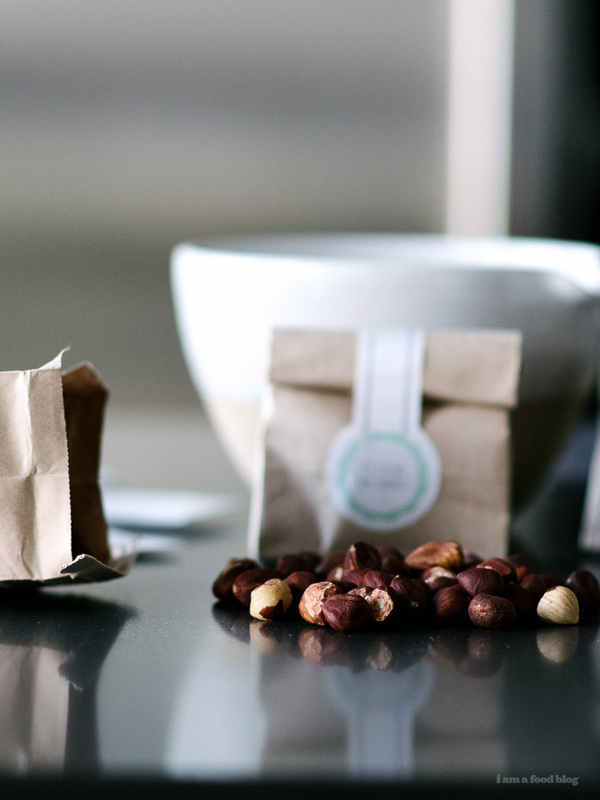 In a skillet, toast the hazelnuts over medium high heat, moving around every so often, until toasty, 5-8 minutes. Remove from the pan, let cool and grind in a food processor or blender until fine. 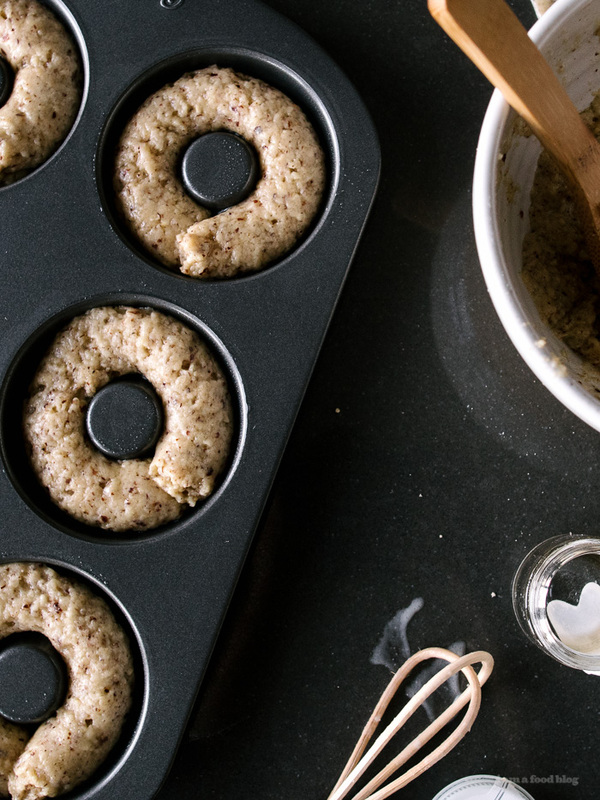 In a large bowl, whisk together the hazelnuts, flour, salt, baking powder, and baking soda. In another bowl, whisk togehter the maple syrup, coconut oil, vanilla and coconut milk. Add the wet ingredients to the dry, whisking well. 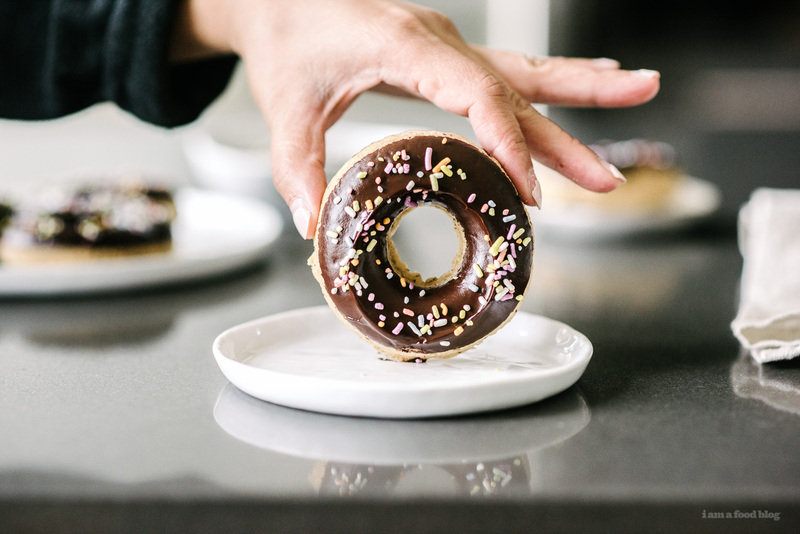 Pipe or spoon the batter into the donut wells and bake until a toothpick inserted into a donut comes out clean. Start checking at 15 minutes. Let cool slightly and then tip out of the pan. Repeat if you have batter left over. 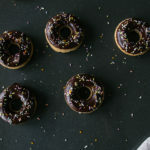 Let the donuts cool completely while you make the ganache glaze. Place the chocolate chips and coconut oil into a microwave safe bowl and microwave in 30 second increments, stirring each time. When chocolate is fully melted, stir in the coconut milk and maple syrup. 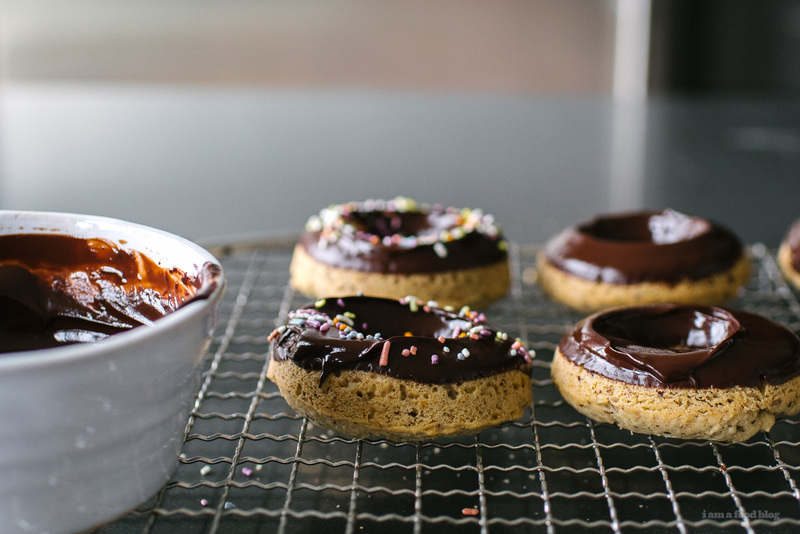 Let cool slightly, then dip the donuts into the ganache and top with sprinkles. Enjoy! These look great. The hazelnut would be delicious. I like that it has the coconut oil and milk in it too. Thanks for sharing. I will definitely try making them. gosh, thank you steph! 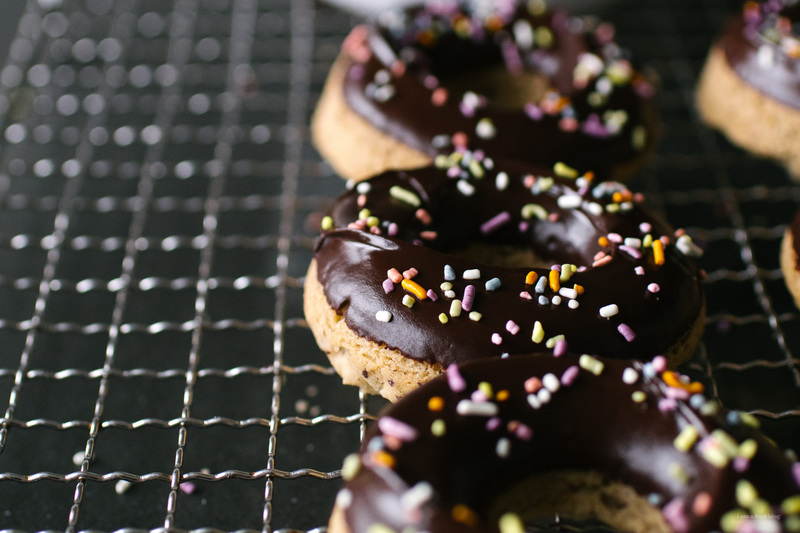 these donuts are perfect and everything i’m craving in a baked treat right now! thank you so much for showering our family with your loveliness, it is truly felt <3 i hope your autumn is off to a good start xoxo!